For third-generation farmer Maria Inés Catalán, agriculture is her culture. The 55-year-old owner of Catalán Family Farm in Hollister is carrying on a tradition passed down from her grandfather, who was a farmer in Mexico, to her father, who came to the United States as a contract laborer in the 1960s, and mother, who worked in American fields for 30 years. Catalán was the last in her family to immigrate to the United States from their home state of Guerrero, Mexico. Then 25 years old, she worked for large ag companies picking vegetables like lettuce, spinach and peppers. Several years later, she and her siblings tagged along with their mother to a talk about organic agriculture, and Catalán was hooked: She embarked on a three-year training program at the Rural Development Center (the predecessor to the Salinas-based Agriculture and Land-Based Training Association, or ALBA), learning everything from operating heavy machinery to pest management. When Catalán started her farm in the late ’90s, she says it was unheard of for a Latina woman to go from agricultural worker to organic farm owner. The two decades since haven’t been easy—farming rarely is, and aside from surmounting the challenges of being a non-English-speaking woman farmer, she faces the problems that plague all local farms, large or small, such as reliance on an immigrant workforce at a time when immigration reform is desperately needed, the resulting field labor shortage, extreme weather and thin margins. But today she farms 14 acres (down from 80 after a catastrophic well accident in 2014), reaching consumers through farmers’ markets and a CSA program, and selling directly to local restaurants. It’s a family business, with her children and grandchildren now learning the ropes of sustainable agriculture. Catalán believes that farming is a way to honor her heritage while providing healthy food to her community. But following the election last November of President Donald Trump, who had run on an anti-immigrant agenda, and the actions he has taken since then to pursue it, she has new worries not only for her own business, but also for the local community and food system. “When he became president, I spent the whole night crying,” Catalán says, through an interpreter. And she’s seen her distress reflected in the farmworker community in the months since the president took office. “I see more people in fear, and I know farmworkers who have left [the country] willingly,” she says. The already heated political climate became even more highly charged, and alarm spread through immigrant communities across the country—including in California fields. 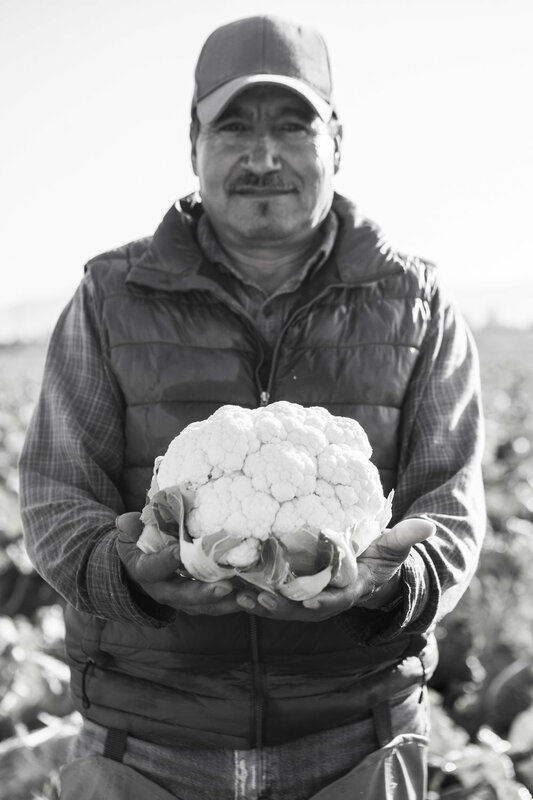 “There is a lot of fear and panic in the farmworker community,” Keegan says. “There is concern about raids in the fields.” And these fears may be causing this already vulnerable population to be too frightened to access basic services like health care and food assistance, or report crimes, putting it at even greater risk. Rivera-Salgado says there are no more than an average of 5,000 workers employed in agriculture in Los Angeles County—and, true to statewide figures, he says around 65 percent are likely undocumented. Go to a local farmers’ market—Rivera-Salgado frequents Santa Monica’s—and you’re likely to see produce from the Oxnard area or elsewhere. Like a lot of places, much of LA’s fresh fruits and vegetables come from the Central Valley and Central Coast, meaning the state’s broader farmworker picture affect’s LA’s dinner plates, too. In the months following Trump taking office, SCCIP was flooded with hundreds of requests for guidance, legal advice and resources. Many of the families seeking assistance have been here for years, and often have mixed status, meaning, for example, parents are unauthorized but the children are legal residents. “There is a lot of concern about what happens to their children if [the parents] are deported,” Keegan says. Given the fact that immigration from Mexico has declined in recent years, and farms are already struggling to fill out their crews, the current administration’s approach to immigration could further handicap an already impaired ag industry—sending food prices soaring as a result. The good news is that this spring, the administration offered some promising comments about not targeting farmworkers with its enforcement actions. But thus far, the new cabinet’s aggressive anti-immigration policies and the absence of concrete new protections for farmworkers have at best confused the matter and at worst, contributed to a continuing decline in the farmworker population. Farms are holding a collective breath as they wait to see how they will be affected. “Now is the time that a lot of the workers would normally return from Mexico to get started for the new season,” says Keegan, speaking in March. “Whether they’re able to return or not is a big question, given the increased security at the border." The farmer was seated under a shade structure in the center of the smaller of two properties that comprise Route 1 Farms, in Santa Cruz. It was the warmest day of the year so far—the last in a string of sunny days sandwiched between rainstorms—and the fields had finally dried enough to allow for planting. Larkey and his crew were racing to finish before the rain started again. California farms have been struggling with an increasingly dire worker shortage for several years. At the root is the lack of comprehensive immigration reform that would allow capable workers to come to the United States to work in the ag industry. There’s the H-2A guest worker visa program, which has echoes of the beleaguered Bracero Program of yesteryear and is largely opposed by farmworker advocates and often spurned as too expensive and problematic by farmers. But an increase in border security, slowing of immigration from Mexico and spiking prices for border crossing—plus this area’s high cost of living and lack of affordable housing—have led to a drought of workers. “We’re not getting an influx of new labor,” says Keegan. “People are really discouraged and prevented from entering.” A February piece about the California shortage in The New York Times reported that “the once-steady stream of people coming from rural towns in southern Mexico has nearly stopped entirely.” Additionally, the fieldworkers who are here are aging, and it seems many of their children are not taking jobs in the fields. Immigration issues may threaten larger farms and those with unauthorized workers most, but this puts a squeeze on the already shrinking workforce—meaning farms must compete for fewer workers, and often come up short. The result includes unharvested fields, financial losses and shrinking production. To gauge the need for farmworkers in California, one needs only to look to the number of guestworker visas being requested by growers, says Rivera-Salgado, with the UCLA Labor Center. Ten years ago, he says there were around 3,000 farmworkers in California through the H2-A visa program; last year, there were more than 11,000. Meanwhile, the labor shortage has forced farmers to be more creative in their efforts to attract and retain workers. “Growers are now convinced that the labor supply is shrinking, and there’s high competition to retain the current workers,” he says. 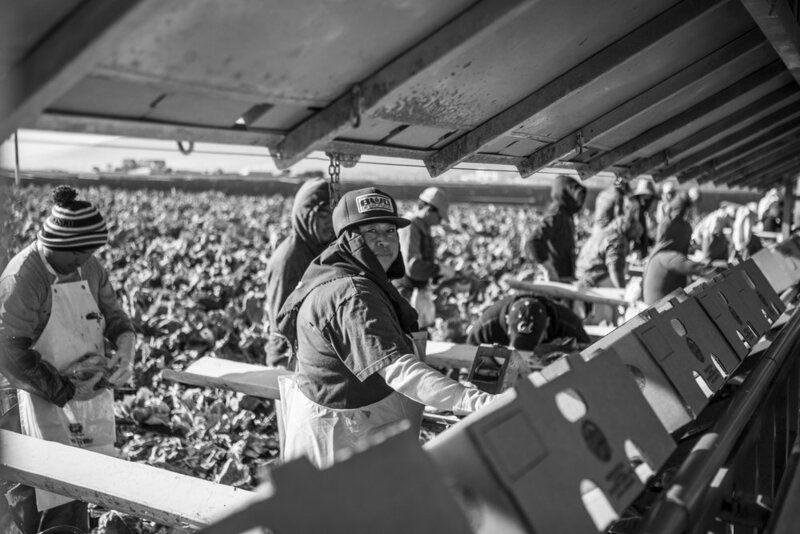 Methods include raising wages, providing new or improved farmworker housing, and shifting positions from seasonal to year-round to offer workers more stable employment. Scarcity increases value, and workers are reaping some benefits from being in high demand. “It has resulted in a resurgence of organizing among farmworkers,” Rivera-Salgado says. “In Salinas, for example, workers are organizing and demanding higher wages, taking advantage of the fact that there is a shortage of labor.” He cites another recent example in which strawberry workers in Washington landed a wage hike from $12 to $15 an hour. “[Workers] are in a position of more power,” he adds. Farmworker wages in California have gone up 28% since 2010, according to the Employment Development Department. (And there’s a minimum wage increase and overtime bill in the works.) But raising pay alone won’t solve the problem, says Jim Bogart, president of the Salinas-based Grower-Shipper Association, which represents more than 300 member farms and other agricultural businesses, providing them with legal services, advocacy, labor relations and human resources support, education and other assistance. “There’s just a smaller pool of workers to provide the labor,” Bogart says. For a solution, the farm considered turning to the H-2A temporary worker program, which it utilizes at its Yuma, Ariz., location. Employers are required to provide housing for H-2A workers, so, in preparation, T&A built a new housing development on its Spreckels farm called Spreckels Crossing. Much to its surprise, the complex turned out to be a draw for workers who were already in the United States: “What we found was that once many of our domestic harvest employees who work with us in Yuma heard about Spreckels Crossing—and that it was new, comfortable, well-outfitted, safe and affordable—we started getting approached by people who wanted to come and work the Salinas season with us,” Escamilla says. Broz made further shortage-driven changes this year, such as choosing to scale back on raspberries, which are handpicked and laborious. Also new this year, Live Earth began hiring seasonal workers in March—several months before it normally would—to guarantee it would have the help when it needs it. As in past years, the farm will hold U-picks aimed at bringing in customers to help with the picking of its tomatoes. Golden State farms are still reeling from the recent five-year drought, and many of their adaptations are geared toward addressing lower water availability, as well as lower labor availability. “You see a transformation to less water-intensive and less labor-intensive farms, so the rise of almonds or the rise of avocados, for example,” says Rivera-Salgado, citing two crops that can utilize sophisticated irrigation systems, thereby cutting down on the number of workers needed. Hank Giclas, senior vice president of strategic planning, science and technology at Western Growers, points out that mechanization has been successfully adopted in bagged greens and salads, and he believes that berries are next. “I see automated harvesting of berries in the not-too-distant future,” he says. For farmers and the advocacy groups and legislators who support them, this means a few key reforms: legalizing the existing workforce and expanding, improving or replacing the temporary guest worker visa program, which Bogart describes as broken beyond repair. “That really needs to be fixed so that we have access to workers that would supplement our regular workforce at the time we need them and in the numbers we need them, without a bunch of bureaucratic red tape hoops to jump through,” Bogart says. Bogart feels “hopefully optimistic” thanks to some assuaging comments out of Washington over the course of the spring. On April 25, President Trump issued an executive order aimed at improving agricultural and rural wellbeing that pledged to “ensure access to a reliable workforce and increase employment opportunities in agriculture-related and rural-focused businesses.” A few days later, the newly appointed Secretary of Agriculture, Sonny Perdue, told a town hall in Kansas City that the ag industry shouldn’t be worried about the administration’s anti-immigration efforts. "He understands there are long-term immigrants, [including] undocumented immigrant laborers, [and] many of them are doing a great job contributing to the economy of the United States," Perdue said, referring to Trump in his remarks at a town hall meeting sponsored by the Agricultural Business Council of Kansas City on April 28, according to a report by Southwest Farm Press. The bill had yet to be voted on as of press time. “The Agricultural Worker Program Act, if it passed and became law, would go a long way to easing the labor shortage in agriculture. But without bipartisan support, its chances of passage, like all immigration reform efforts in the past 30 years, are slim,” Keegan said in early May. Meanwhile, the administration’s messages are mixed. ICE’s arrests of noncriminal immigrants have doubled under President Trump, as reported by The New York Times. On March 30, Attorney General Jeff Sessions told Fox News that noncriminal immigrants like farmworkers “is not where ICE is focusing its effort at all.” But soon after, on April 11, Sessions gave a tough-on-immigration talk at the border, stating, among other things, that individuals who re-enter the country will now be charged with a felony, rather than a misdemeanor—effectively making returning undocumented farmworkers and other immigrants into criminals, and therefore subject to deportation. The silver lining of the roiling immigration debate is that it’s finally being discussed, says Broz, owner of Live Earth Farm in Watsonville and president of the Santa Cruz Farm Bureau. “There is a disconnect that I feel we have between consumers and food producers [where] many people don’t trust or don’t even understand what it takes to bring food to your plate,” he says. “It’s a long-term effort to close this gap and we all need to pitch in, because down the road we will face more and more issues—whether it’s climate change, labor, all of those things. Ultimately we are all connected to agriculture because we all eat three times a day. We all have a stake in it." For Catalán, the owner of Catalán Family Farms, the motivation for consumers—and for that matter, the president—to understand where their food comes from and in particular, the effect immigration policy has on food, is clear. Elizabeth Limbach is a freelance journalist living in Santa Cruz, where she writes about culture, the food system, and the environment. This article was first published in Edible Monterey Bay.